Although it sometimes may seem like it is, SEO really isn’t wand-waving and chance. Actually there is no magic involved at all. SEO is all about man-power. Effective SEO works two ways: Onsite and Offsite. The break down is about 30% on-site changes (optimized header, appropriate ratio of content to code, etc.) and 70% off-site work (links). Ultimately, you should be doing both– you need to have a great site for people to come to or it won’t matter where you are on the search engine rankings. The big picture includes people coming to your site, looking around, and staying a while. What you need first though is to get people there. Search engines have become something of the online authorities over which sites the general public finds. You use quality links to get on the list of sites that are found. A quality link is any link that comes from a non-spammy site. These can include (but are definitely not limited to) blog comments, article author tags, directory submissions, and online bookmarks among others. It’s important to get a variety of links. 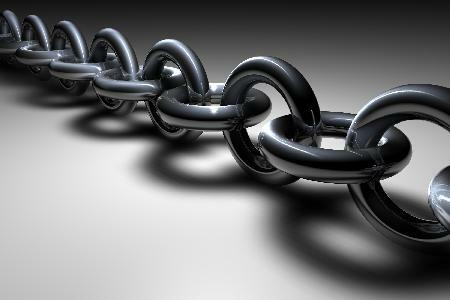 Search engines will penalize sites if all of their links come from sites that are talking about the exact same thing. Search engines assume that your competitors aren’t going to link to you so there must be something fishy going on. So the off-site SEO of link-building is crucial. And it’s actually pretty easy, but it requires a lot of stamina and patience. It’s not a task for the weak minded (or those whose time would be better spent doing other things– like running a business or spending time with their kids). The benefits of hiring specialists to do your SEO for you include not having to submit your site to hundreds of directories, bookmark your site hundreds of times, submit hundreds of self-written articles, and leave comments on blogs in the name of your company hundreds of times. The climb up the search engine rankings is slow as the search engines register your site and its changes every so often. However, much like the stock market, the trend is always up as long as you keep working on your site’s credibility.